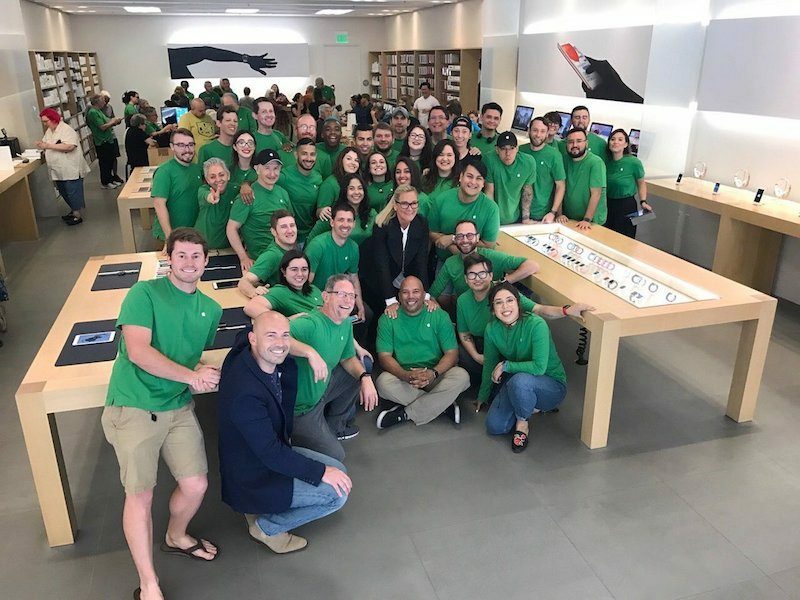 Apple Store employees will celebrate Earth Day by again wearing green shirts instead of traditional navy blue for the next few weeks. Apple has already provided many of its retail employees with the new uniform, which they will begin wearing as early as Friday, April 13 in the United States, United Kingdom, Canada, and other countries, according to a reliable source. The new shirts will likely be worn at least through Earth Day on Sunday, April 22. 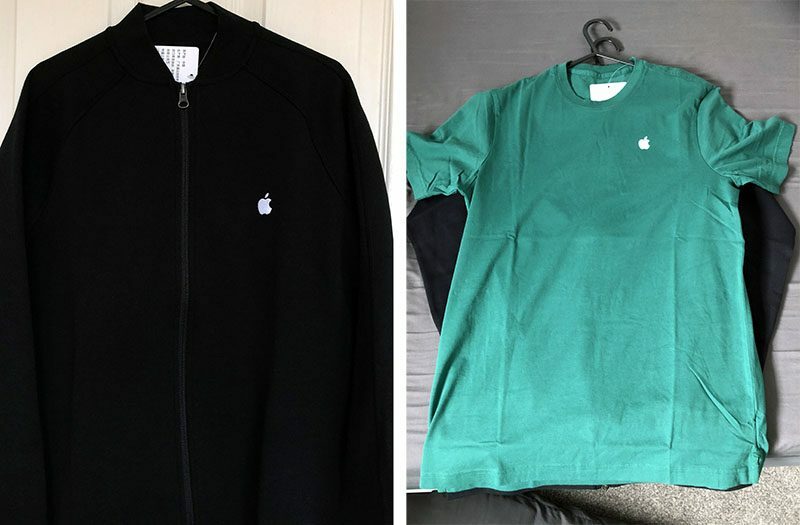 A tipster who asked to be identified as The Apple Post informant today sent us photos of what appears to be the new uniform items. Apple also celebrates Earth Day by adding a green leaf accent to the Apple logos at its retail stores around the world, and by offering an Earth Day activity challenge on Apple Watch. And, in recent years, Apple has shared a series of Earth Day videos, Apple Music playlists, and featured App Store apps. Apple will likely release its 2018 Environmental Responsibility Report around Earth Day, highlighting the company's commitment and progress in relation to recycling, renewable energy, and other green initiatives around the world. Earlier this week, Apple announced that its global facilities, including retail stores, offices, and data centers across 43 countries, are now powered with 100 percent renewable energy. In addition, an additional nine Apple suppliers around the world have committed to using renewable energy sources.